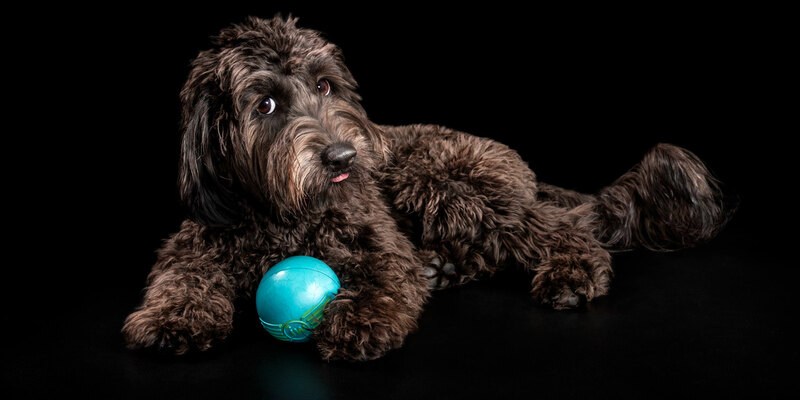 Adorable Owen is a 1yo black Labradoodle and is a real man about town who is extremely social with a large group of friends many of whom he has met through his Instagram page (owen_the_oodle) and being a member of... Click here to Read More. Mum describes fun loving boys, George and Frank as ‘the oddest of brothers’ but they definitely make their house a home! 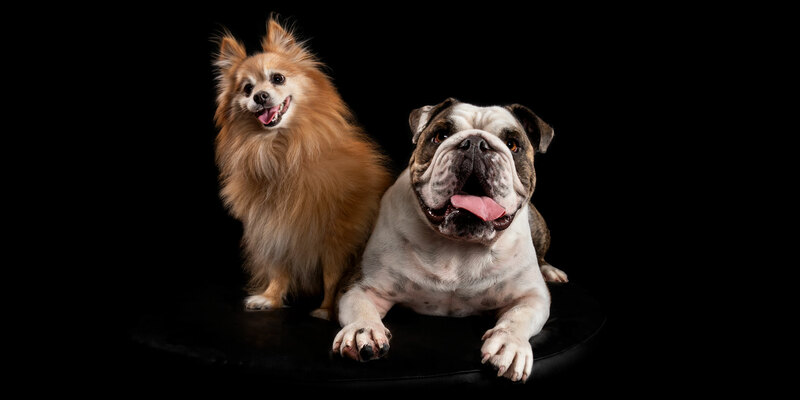 George is a 12yo fawn Pomeranian and Frank is a white and brindle British Bulldog. George came into his... Click here to Read More. Minnelli is a ridiculously adorable bundle of love with amazing big eyelashes covering brown eyes of bliss who is the centre of her Mum and Dad’s world! 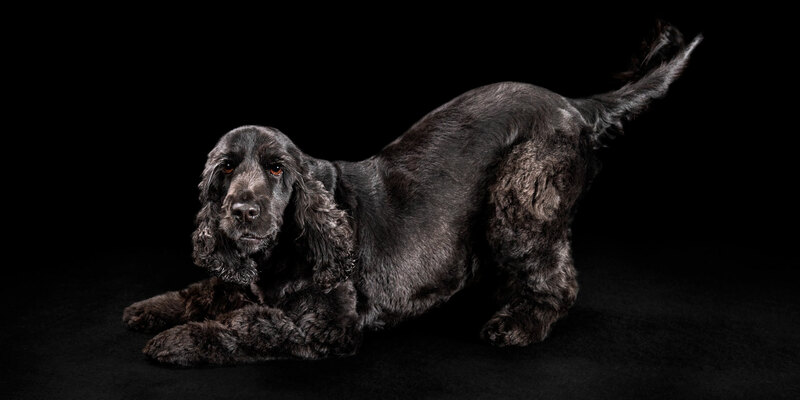 She is an 8yo black Cocker Spaniel and she came into the family... Click here to Read More. Feline duo Chibi and Noodle are a couple of gorgeous tabby cats. At 9 months of age, Chibi is a black and white domestic short hair Tabby and Noodle is a black and silver domestic short hair Tabby. Chibi is... Click here to Read More. Lovable Milo is Mum’s cheeky boy who is happy, loving but also very mischievous! 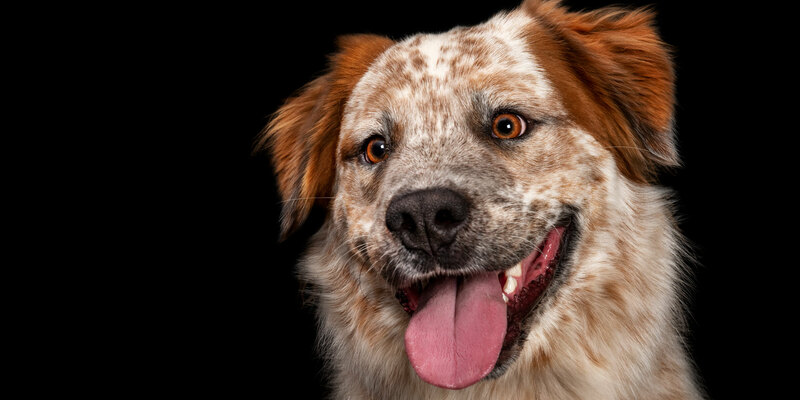 He is a Red Australian Cattle Dog mix and when he came to his Mum as a young boy, it was love at first sight! She... Click here to Read More. Mia is a beautiful young lady who is totally adored by her Mum and her sisters! 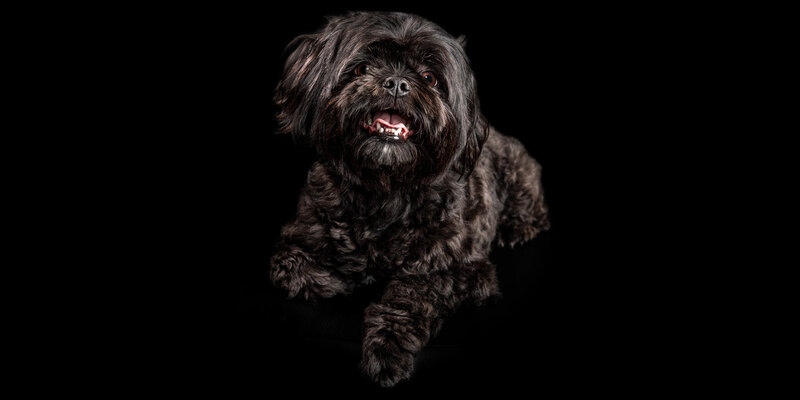 She is a 3yo Maltese cross Shih Tzu who is black with a white patch on her chin that looks like a little goatee!... Click here to Read More. 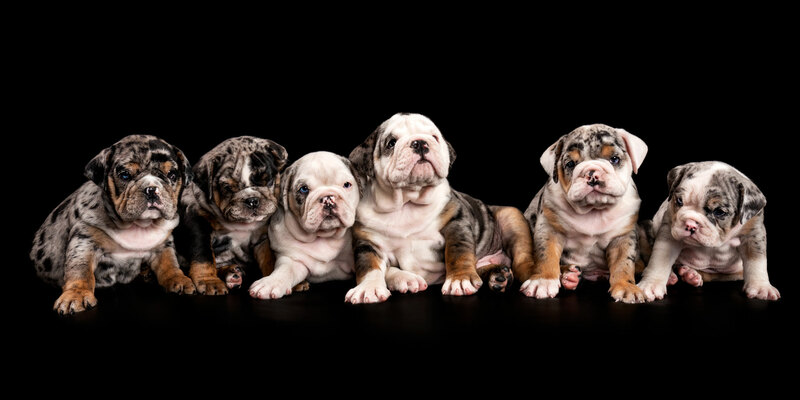 Here we have a gorgeous litter of six Australian Bulldog puppies with Merle colouring and amazingly beautiful eyes! This litter of pure Bully cuteness are unique and funny but yet to fully grow into what will undoubtedly be personalities pawsonified!... Click here to Read More. As we say goodbye to Melbourne for now, please say hello to awesome trio, Flick, Switch and Galaxy! Flick is a 13yo blue and white Border Collie, Switch is a black and white Border Collie and Galaxy is a 6yo... Click here to Read More. 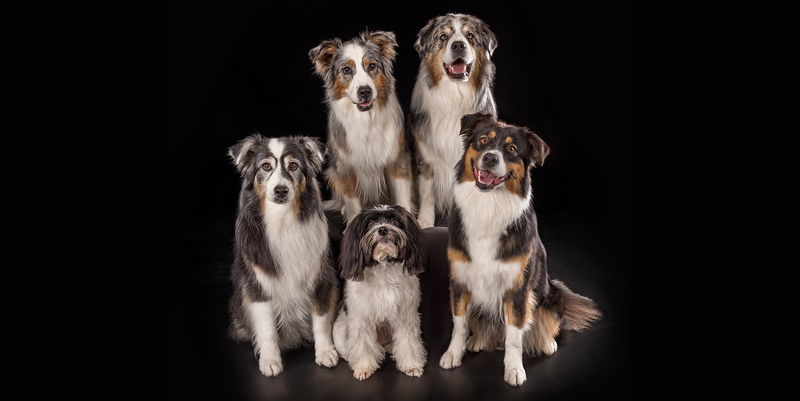 This gorgeous crew consists of Kinta. Tahlia, Koda, Ari and last but definitely not least, Tempo! 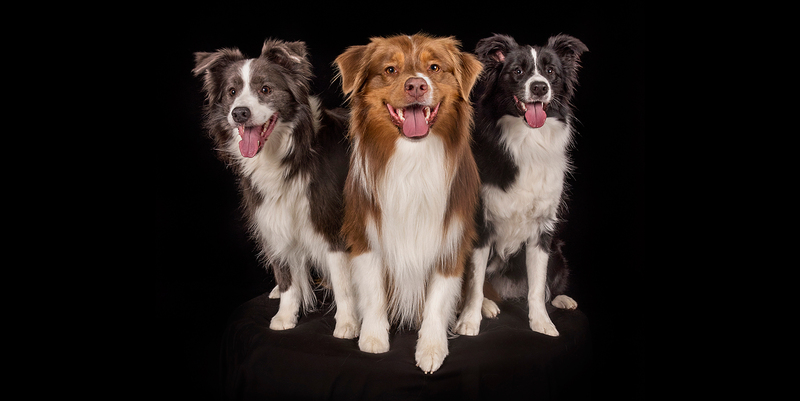 Kinta is a 12yo black Tri Australian Shepherd, Tahlia is an 8yo blue Merle Australian Shepherd, Koda is a 6yo blue Merle Australian Shepherd,... Click here to Read More. These two playful fur babies are lovable Koda and sweet Charli! Koda is a 5yo chocolate Labrador and Charli is a 3yo tri coloured Beagle. 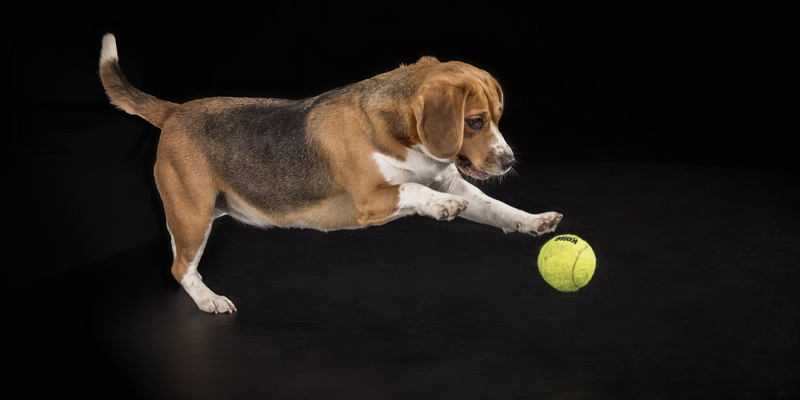 Described by his Mum as ‘45kg of naughtiness’, Koda is a seriously mischievous but loving... Click here to Read More.